Today’s blog is brought to you by our guest writer Emma Sticklen. Today’s readings reveal three faces of God. In Chronicals he is a God of retribution: Do what is right in the eyes of the Lord, as Josiah did as long as the High Priest Jehoiada was alive, or suffer bloody consequences. Job’s friends also believe in this image of God. They tell Job to figure out where he has gone wrong, and maybe God would restore him. Job insists that he has ONLY done what is right in the eyes of the Lord: I have treasured the words of his mouth more thanmy daily bread. Job is convinced that If he could present his case before God face-to-face, then God would see the truth and surely restore him. But for Job, God is silent; he cannot be found in any direction of the compass. And yet, he says he will not be silenced by the darkness; he will persevere. A God of retribution, a silent God who cannot be found anywhere on earth. Sounds hopeless! And then we come to 2 Corinthians 4, a passage of amazing hope, total assurance (NOT retribution or silence), a passage that could have been written for Job. Here we see that Christ is the image of God, the light that …shines out of darkness…that shines in our hearts to give us the light of the knowledge of the glory of God in the face of Christ. 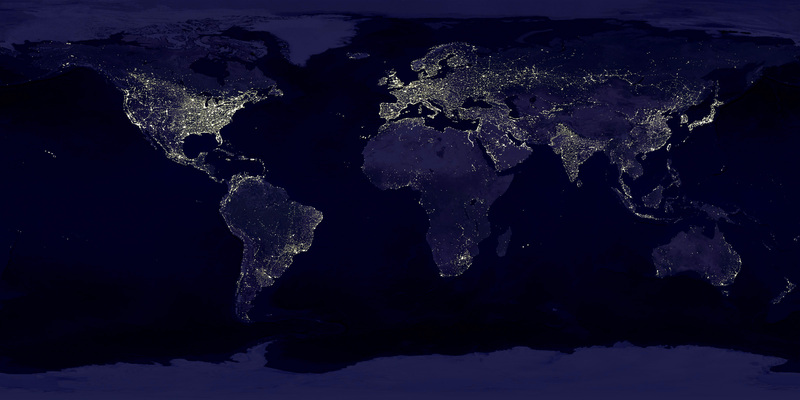 We are commissioned to shine this light on the darkness that surrounds us in this sinful world. Then we can walk with Paul, when he says, ….We are hard pressed on every side, but not crushed; perplexed but not in despair, persecuted, but not abandoned, struck down, but not dismayed….Therefore, we do not lose heart. Though outwardly we are wasting away, inwardly we are being renewed day by day. For our momentary troubles are achieving for us an eternal glory that far outweighs them all. Are you ever in despair, beaten down, feeling abandoned, struck down? I certainly am, more often than I can begin to recount. Or maybe you know someone who is in despair today. Carry this passage from 2 Corinthians with you; post it on your bathroom mirror, share it with someone who feels beaten down. Then you will be able to ….fix your eyes not on what is seen, but on what is unseen. For what is seen is temporary, but what is unseen is eternal. May this message of total assurance bless you today and bring you such joy that others will be blessed through you. Typically, I would provide a little commentary on all of the passages. Today, though, Psalm 80 rang out loud and clear…the Psalms are the prayer book of our Bible…song-prayers for each and every day. In the Psalms we find bold honesty – when we are unable to express our own feelings. In today’s Psalm…the author calls upon God to “turn us again to yourself”. It is our repentance that restores our relationship with God. And then we turn to Paul’s words to the church in Corinth…God works by his Spirt in our lives. There is no instruction manual here or some fancy technique…God works in our hearts by his Holy Spirit giving us new power to live for him. Friends…today, while we can certainly look forward to that day when we can stand with Jesus – and worship him forever, let us today, worship and adore him…giving thanks to him for the saving grace of his cross for you and me. If you struggle to share your feelings, your dreams, your hopes and your concerns with the God of the universe, I encourage you to turn to him…turn to Jesus and just let go…let him have all that troubles you…all that makes you angry…everything that seeks to turn you away from Jesus. Blessings to you in the name of Jesus the Christ!! Greetings from Ohio! Personally, I’m really enjoying spending time with our teens. These students really do crack me up and I love that some are opening their hearts to me. For our blog post today I want to focus specifically on 2 Corinthians 2:5-11. I don’t know about you, but forgiving my offenders is not something that comes easily to me. Actually, I have to regularly say–out loud–“in Jesus’s name I am choosing to forgive…” and fill in the blank. It can be tiresome. But it is what Christ has called us to do. I am in awe that Paul even says “forgive and comfort him, so that he will not be overwhelmed by excessive sorrow” (2 Cor. 7). There is one person in particular that I always think about when I am trying to figure out the line between forgiveness and reconciliation. Do you have someone like this in your life? Do you have a deep hurt that you aren’t sure you can forgive let alone forgive someone to the point that you don’t want them wallowing in sorrow? Maybe I’m exhausted. Maybe I’m emotional. But tonight, that passage is definitely going to be what I think on as I go to sleep. If you ever plan to visit Romania, you might come across an interesting custom: Humble Boasting followed by ANGRY COMPLAINING. You know you get together with your friends and everything is wonderful their lives are great, jobs are going well, kids are excelling in school, followed by a quick turn around to everything is bad, family – bad, economy – bad, job and kids – bad. You get the idea. I find it always interesting and fun to watch in part because it reminds me of our humanity. As people, we have a certain streak in us that wants to prove to the world that we are better than everyone else, and yet we are still rooted to a reality that sometimes tends to knock us off. For Apostle Paul, that struggle has a different twist. All his accomplishments and also failure is seen in the context of who God is, of Gods grace. As I was reading Paul’s letter and the way he defends his character and ministry, I was amazed at all the things Paul describes from his failures and troubles in the provinces of Asia, to scraped plans to Macedonia and letting people down as a result of that. There is something about Paul that makes you like him: He is real, nothing to hide, no need to boast or trying to impress, there is something about him that it just is. And that is attractive. That “something special” of Paul comes from learning about Grace, living in Grace giving and receiving grace day after day. If there is anything we might need today it might have to do with grace, living in a way that is real, even if we let people down, disappoint or even upset. Today I pray that we can learn from Paul, that we can be real no pretenses and walk in grace towards one another. I don’t know about you, but I have been in Job’s shoes many times with regards to what he is saying in chapter 21. We all probably know people who seem like nothing bad ever happens to them, even though they live a reckless life. Partying it up every weekend. Heavy drinking. Drugs. Lack of moral compass. Physical aggression. Whatever descriptors that can be used. And yet, they seem to be happy pretty much all the time. But I think the operative word here is SEEM. Job has had a very tough stretch and he is at his wit’s end. He knows people that live a wicked life, and yet nothing bad seems to happen to them. On the other hand, he has been faithful up to this point in his life, and yet he has had a miserable run as of late. He can’t figure out how it is still possible that of all the people that he knows, HE is the one who is having so much misfortune. But the story isn’t over yet for Job. In the moment, within the recent time period, he is stuck in a rut. He can’t see beyond his current situation. He doesn’t see into the future what God has in store for him. The same is true for us. At times, we get into a rut and it seems like it just isn’t fair. We see people around us who seem to have no trials or tribulations…ever. Everything seems to always go right for them, but here you are, with a broken down car again, and some health issues, and bills piling up. But, maybe, as the saying goes, you can’t see the forest for the trees. There is still more to your story. Just like Job. Everything will be just as God intends it to be in His time. We must be patient and faithful, knowing that God has a plan that we can’t even begin to comprehend. What seems like a horrible situation in the moment, no matter how long that moment lasts, will eventually turn into something amazing if we just trust in God. I struggle with this last paragraph often. Too often I find myself thinking that things are tougher than I can handle and that there is no way out. Sometimes it takes me days, weeks, even months, to realize that I need to take a step back and let God take over. As Jesus said in Matthew 19:26, “All things are possible with God.” So be patient. Ride the storm out. God hasn’t forgotten you. Jesus said that he “is with you always, to the end of the age” (Matthew 28:20). Do you believe it? 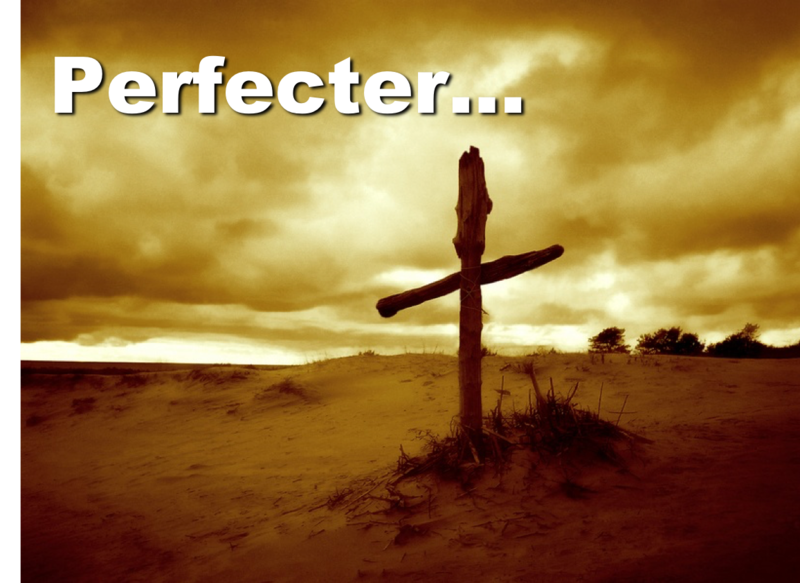 Perfecter…a person who completes or makes something perfect. Devotion: Our lives as Christians often involves hard work like giving up the stuff that gets in the way of our relationship with God. We are to run the race of life with endurance knowing that the sin of our lives will cause us to struggle. We need to keep our eyes on Jesus and allow the Holy Spirit to work in our favor each and every day. Review: The alter is cast in bronze (4:1-5)…Furnishings are made of gold (4:6-8)…The entrance doors are covered in bronze (4:9-10)…Master craftsman Huram performed most of the work (4:11-16)…The alter is covered in gold and some silver (4:17-22, 5:1)…The Ark was carried by hand by the Levites from the City of David to its resting place within the Temple (5:2-7)…This Holy Place consisted of the Ark, inside it two 10 Commandment Tablets, its poles were covered by the cherubim (5:8-10)…All of these proceedings were accomplished by sacrifices, feasts, and music (5:11-14) as the Shekinah glory filled the Temple…Solomon addressed the assembly (6:1-11) regarding their past history which brought them to this point…Solomon issues a prayer to dedicate the Temple (6:12-40)…Ending with a benediction (6:41-42). Analysis: The Chronicler’s account is similar to another history (1 Kings 6-7)…Needless to say the building materials within the Temple were the best, most expensive, and precious available…These materials transformed the cut stone interior of the Temple into a jewelry box signifying Judah’s reverence for their LORD…The difference between the account in 1 Kings 8 and what we have is the Levites rather than priests (1 Kings 8:3) are enumerated (see Numbers 3:5-31)…The Temple construct was a kept promise of David (6:12-17)…A cursory understanding of OT theology, that of obedience to God’s precepts followed by blessing or disobedience followed by judgement is the essence of Solomon’s preaching (6:18-40)…This thinking, good or ill, is that it all of it comes from God, not elsewhere…What is required to adhere to OT theology is complete commitment to God, not occasional. Today our guest blogger is Tari Ambler!! We continue today reading about the reign of Solomon in 2 Chronicles. In the Hebrew Bible, 1 and 2 Chronicles were one book and my Bible notes on Chronicles say it simply means the record of the things left out of Samuel and Kings. We read of Solomon’s wisdom and wealth, hearing again of how God bestowed Solomon with great wisdom, then great wealth. Chapters 2 and 3 are about the preparation for building and the construction of the temple, which God had instructed David not to build. Solomon obeyed God and followed his will. All of Psalm 78 is meant to remind Israel of their sins and of the consequences that followed. God blessed them coming out of Egypt with manna and then quail to eat, but they still complained, so God punished them for their disobedience. This cycle happened again and again. You’d think the Israelites would have learned from their past mistakes. But wait a minute- doesn’t the same thing happen to us? God blesses us and loves us dearly, yet we still make mistakes. We repent, but then turn around and do the same thing over again. Friends, if we trust in God and truly are sorry, He can change our hearts. Stay in the Word and prayer each day to be guided by the Holy Spirit. In 1 Corinthians 12 (I know I have chapter 13- I’ll get to it. ), Paul talks about the different gifts the Holy Spirit gives each of us who are all part of the body of Christ, but we don’t all have the same gifts. It ends with 31 But strive for the greater gifts. And I will show you a still more excellent way.We then pick up in chapter 13- The Gift of Love (the greater gift.) Paul compares love with gifts such as tongues, prophetic powers, understanding mysteries, knowledge, faith and giving goods to feed the poor. If we don’t have love, we have gained nothing. He then uses vs. 4 – 8 to describe what love is and how it relates to our gifts and our faith. I learned the following from my study Bible- Faith, hope and love are the three most important graces. 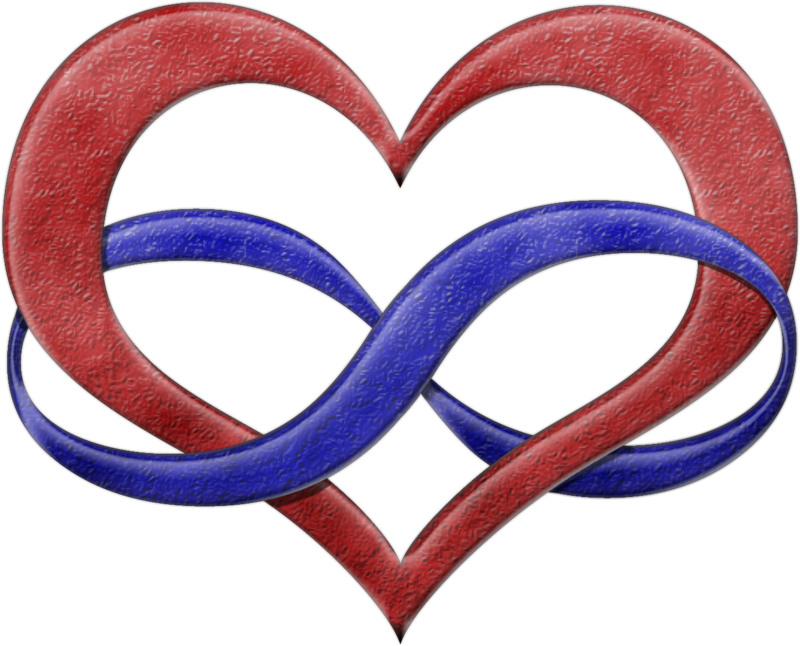 The first two are needed only in this present life, but love will remain forever, even in heaven. I hadn’t thought about it that way before. What a comforting thought, love forever! Brothers and sisters, show your love of God to others by loving them today. The last two chapters of 1 Chronicles provide a changing of the guard…from David to Solomon as king of Israel with a focus on God’s plans for Israel and his promise to David’s descendants. Contained within this transition is a focus on knowing God and serving him with a “single mind and willing heart” through the insights provided by David: Get to know God personally; understand God’s will for you; worship God with complete devotion and a single, willing mind; be faithful, be strong and act because God has chosen you! Indeed, Solomon was chosen to build God’s temple on earth rather than David. Despite how badly David had wanted to undertake this task, he knew God’s will…and in that understanding came an overarching challenge to Solomon and all those who would follow: “My son Solomon, whom alone God has chosen, is young and inexperienced, and the work is great; for the temple will not be for mortals but for the Lord God.” David is saying that it is very easy to become infatuated with a building as well as saying that neglecting the church is wrong also. Understanding the purpose of God’s Church is what is important. Through all the difficulties that Job encounters, there is a prevailing thought. At the heart of the book of Job comes his ringing affirmation of confidence: “I know that my Redeemer lives.” If this isn’t faith, I’m not sure I know what is. Through it all…faced with the worse possible things we can imagine in this earthly body, Job still believed he would see God. And then we have the Corinthian Church – suffering from issues of unity. Interestingly, of all the things you might think would cause division…the Church at Corinth was allowing spiritual gifts to be the cause of division. Spiritual gifts had become symbols of spiritual power, causing rivalries. Some people thought they were more “spiritual” than others because of their gifts.